Located 50 miles north of Houston, Texas, is Lake Conroe. Nestled in the piney woods, it's a hotspot for recreational boating and fishing. When people on the water suddenly find themselves stuck on a submerged stump or have engine problems, Captain Gary Lewis of TowBoatUS Lewis Towing & Salvage is ready with a hawser. And Laborde Products is keeping him up and running with a new long-lasting, powerful Steyr engine. 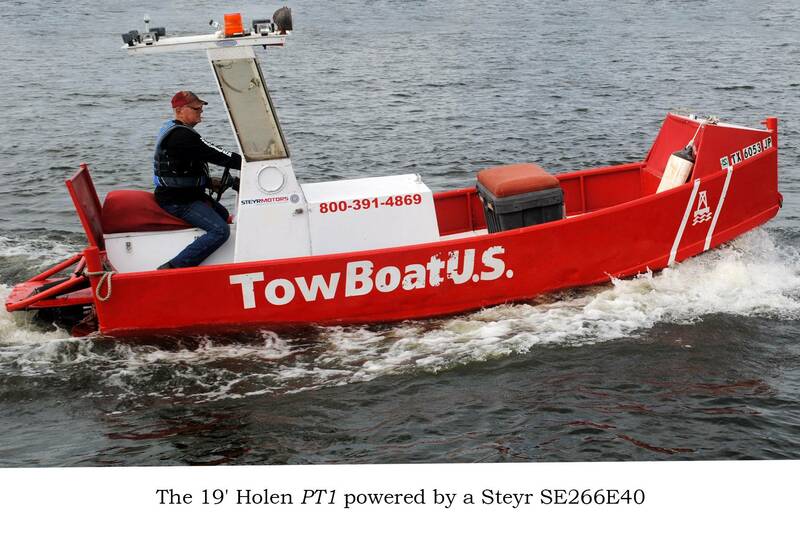 Seven years ago, Lewis installed a six-cylinder Steyr MO256H43 diesel engine into his 19' Holen. PT1 has done everything from search and rescue response, to towing the 131' paddlewheel Southern Empress, to pushing construction crane barges. After an impressive 16,057 hours on the engine, it was time to repower. The engine had served Lewis well. "It didn't owe anyone anything when it went down," he said. "There's nothing better than that." Lewis is repowering with a Steyr SE266E40 from Laborde Products. The turbocharged and intercooled 3.2L engine produces 260 hp at 4,000 rpm, puts out an impressive 530 Nm of torque, yet only weighs 750 lbs. "I've run Deeres, Cummins, Detroits, you name it," said Lewis. "I'm an old salt captain. I've never had a diesel engine run like these Steyrs do. There's almost zero vibration. And they're torquey—this one's hooked up direct drive to a Hamilton 213 jet—man, it will come up out of the hole! It will literally bust a one-inch tow line, that's how much power it has." Lewis is impressed with the sales support from Laborde Products. "Everything's they've told me has been the truth," he noted. "They've done everything they've said they were going to do—a man can't ask for more than that." Since 1998, Laborde Products has been known in the workboat industry for its wide range of high-quality marine and industrial engines, superior customer service and extensive parts department. It lives up to its slogan, "right product, right service, right support."